Kevin Heckle teaching a basic class on chilled water systems including water cooled screw and centrifugal chillers. 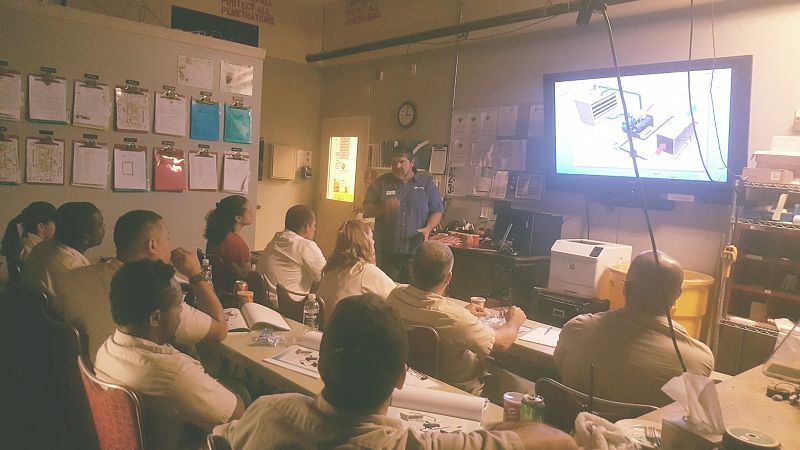 An excellent two hour introductory course for maintenance personnel about the multiple major components that help cool their facility. Each class can be customized to more heavily emphasize the equipment present on a given site, for example focusing on a 23XL Carrier Screw chiller versus a Trane Centrifugal CVHE.